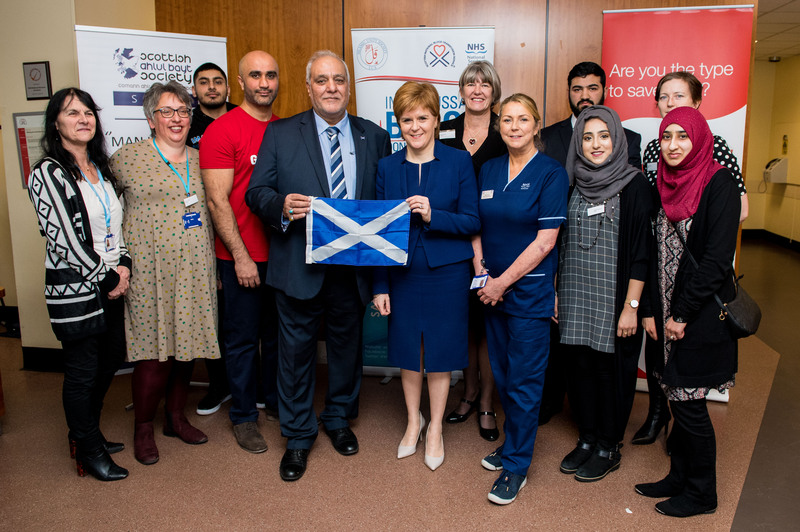 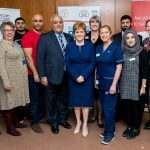 The First Minister of Scotland Nicola Sturgeon MSP visited the Edinburgh Blood Donor Centre to thank donors and staff for their efforts, and to support the Imam Hussain Blood Donation Campaign and the partnership between the Scottish Ahlul Bayt Society (SABS) and the Scottish National Blood Transfusion Service (SNBTS). 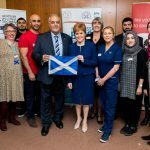 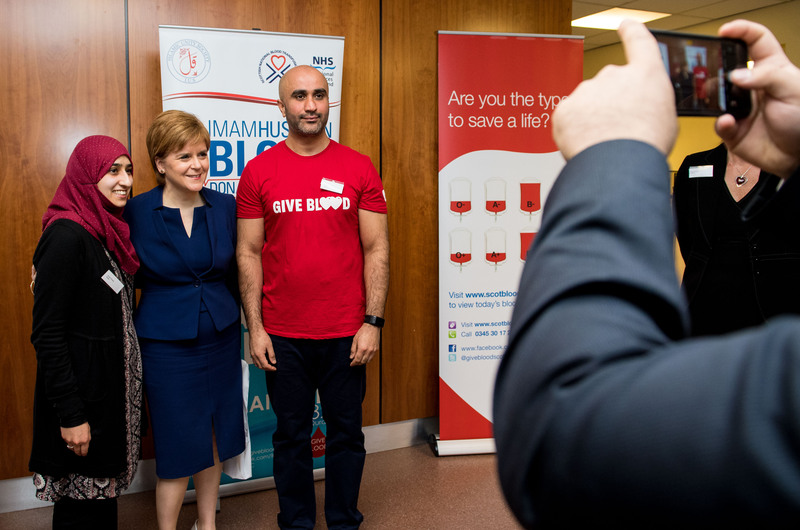 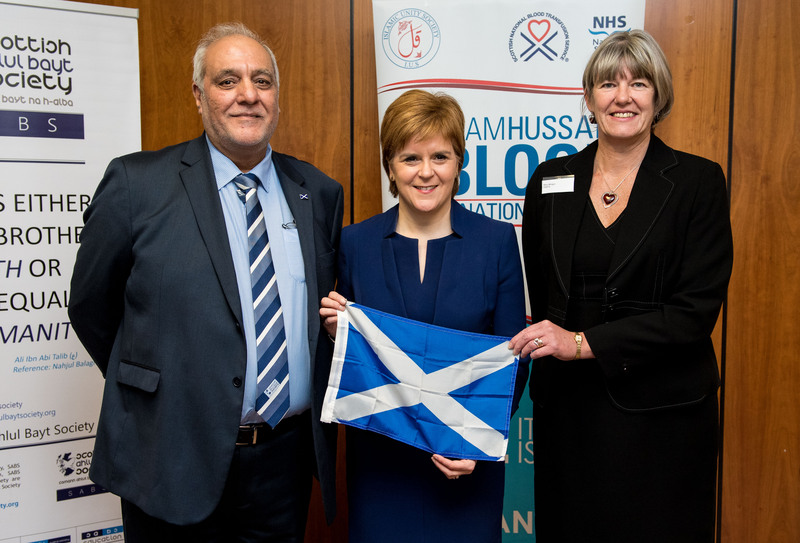 Ms. Sturgeon said: “I am delighted to support the Imam Hussain Blood Donation Campaign. 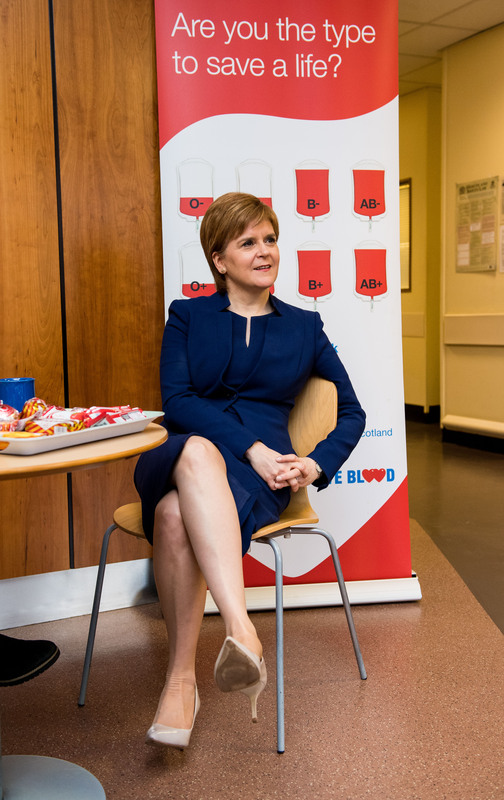 It is important for everyone to consider giving blood if they can, because it’s quick, safe, easy and can literally save lives. 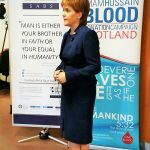 SABS has worked closely with SNBTS for 5 years now. 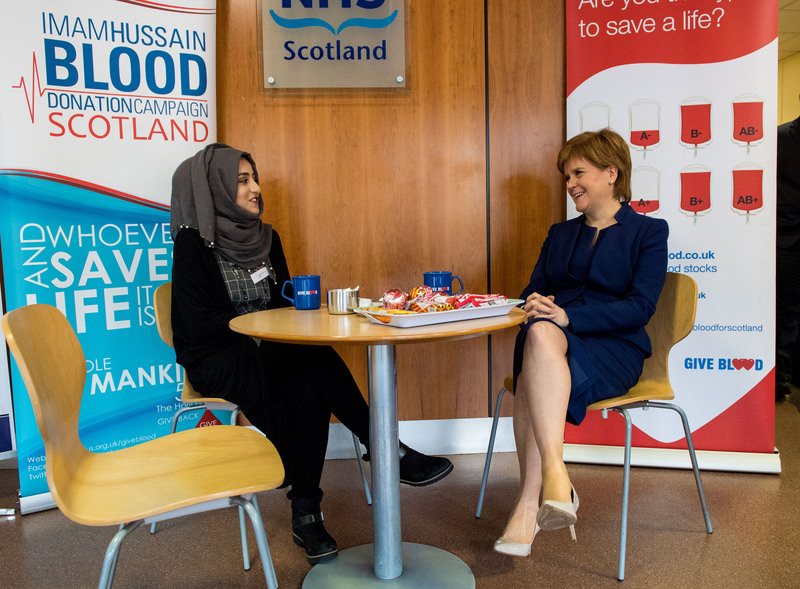 The aim of the campaign is to raise awareness of the need for blood donors in Scotland, amongst Muslims and all communities during the holy month of Muharram – the Islamic New Year. 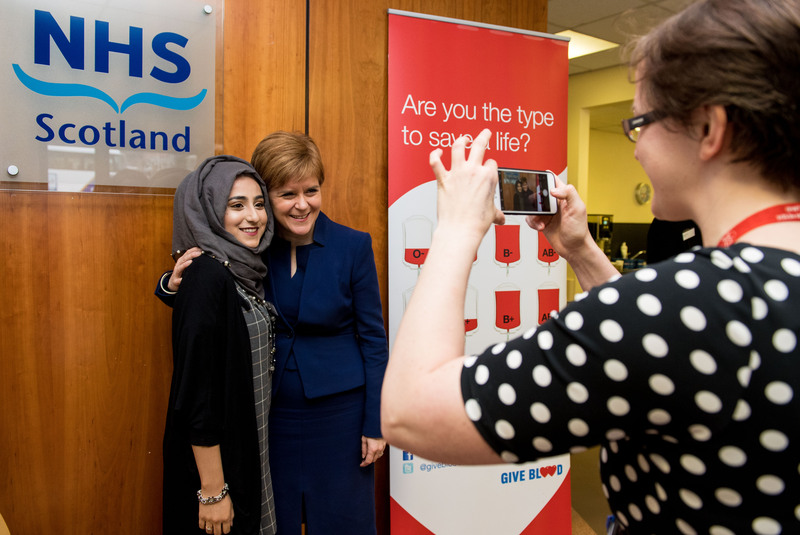 More than 1,500 donations have been given as a result of the campaign. 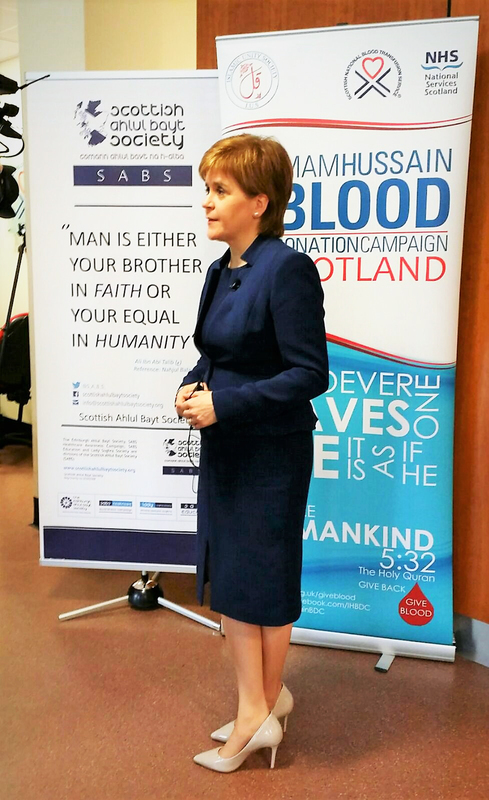 Speaking at the visit Mary Morgan, Director of the Scottish National Blood Transfusion Service said: “Our friends at the Scottish Ahlul Bayt Society have shown us enormous support over the past few years by helping to raise awareness of the need for blood donors in Scotland, amongst Muslims and the wider community. 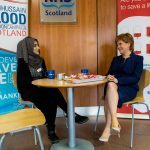 “The Scottish National Blood Transfusion Service continues to play a crucial role in the lives of so many people. 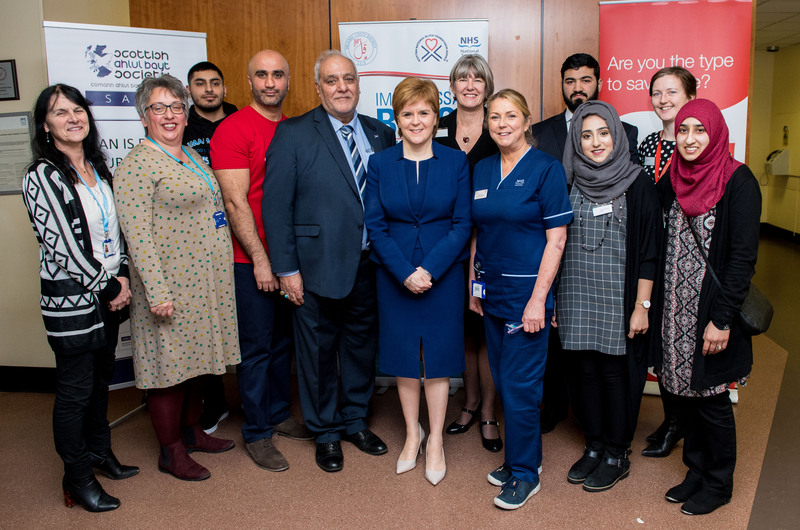 We at the Scottish Ahlul Bayt Society are proud to have been able to support them in their work, and to have promoted blood donation among the Shia Muslim community and all other Scottish minority ethnic communities as part of the Imam Hussain Blood Donation Campaign Scotland.